There comes a time in your research when you decide to take all the documents, artifacts and photos you’ve accumulated throughout the years and formulate them into stories. One of the biggest obstacles we face as writers is the overwhelming task of getting all that information organized so we can begin to write. 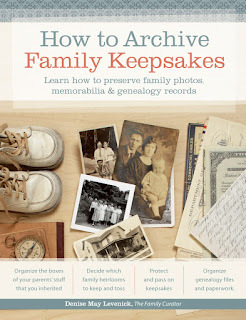 Recently I’ve had the pleasure of reading a book that I believe will serve as as wonderful tool in helping family history writers get ready to write their stories, How to Archive Family Keepsakes: Learn How to Preserve Family Photos, Memorabilia and Genealogy Records by Denise Levenick. Many of you will be joining us next month for the Family History Writing Challenge. Over the next couple of weeks we will talking about planning and organizing our research in preparation for writing. We want you to meet with success in The Challenge and part of that formula for success comes from organizing and planning before you begin to write. Before starting to write a family history it is extremely important to have your research organized. What can happen if you’re not organized? It’s hard to see what to write about and create a story plan when your research lacks organization. When your files are in disarray it's hard to see a clear vision for your stories. If your information is not easily accessible, your writing process becomes disrupted. When this happens it becomes hard to stay in a creative mindset. If you’re constantly being disrupted looking for stuff you will easily give up in frustration. If your research is not organized you don’t know what you have and therefore you can’t identify your research needs before you begin to write. Inevitably, you turn your focus back to research and the writing becomes stalled. After reading Denise’s book it became clear to me she had written a book that stood at the core of helping authors prepare to write. 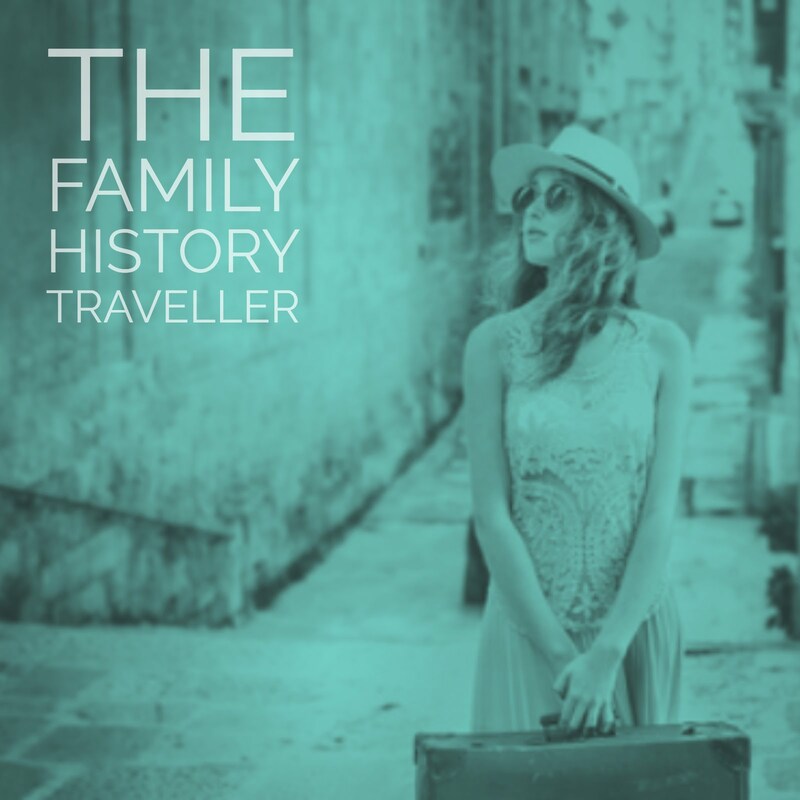 Denise states “People who inherit family archives often take on one of three roles: the Curator, the Creator or the Caretaker.” Because we are seeking to use our archives to write our family stories we would most likely identify with the creator. As creators we’re turning our research, our photos and even our artifacts into a resource to create our stories. 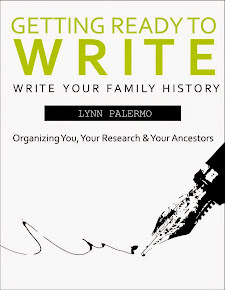 How to Archive Family Keepsakes will be immensely helpful in preparing your research for writing. 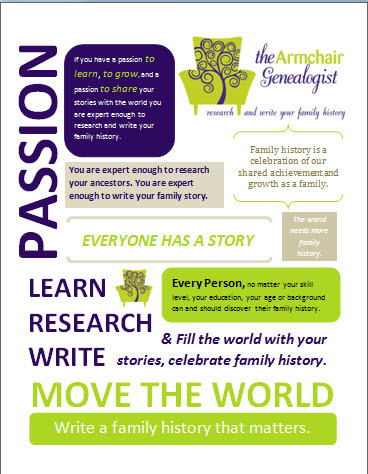 Here’s a few examples of how Denise’s book How to Archive Your Family Keepsakes can help you prepare for writing. 1. Specifically chapter 6 through 8 will help you to organize your archival papers, photos and artifacts – once you worked through these chapters you’ll have a clearer picture of the content you have to work with to create your stories. The process of creating your archives will help you identify what information is missing and where more research may be required. 2. Denise offers practical advice like how to create an inventory of collectibles and research so you can access your information quickly and easily. Less time looking for stuff more time writing. 3. 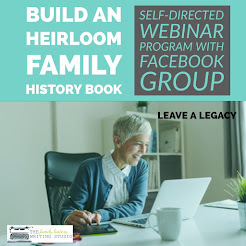 Getting as much of your family archives digitized will go along way to making your information more readily accessible to you while you're writing. 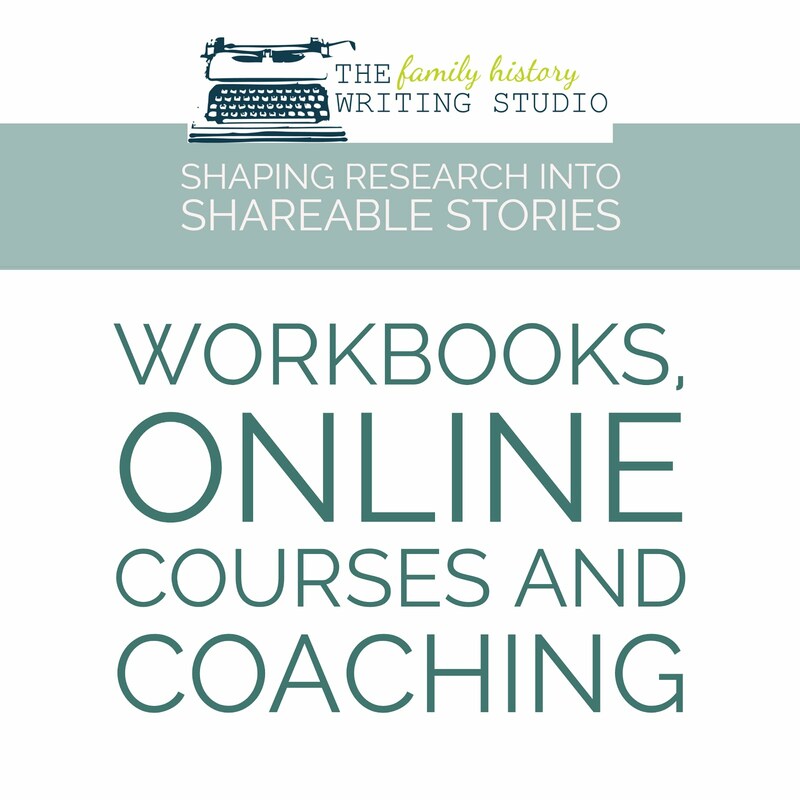 Denise walks you through the process of digitizing your family archives giving you easier access to your facts through the writing process. 4.Creating a filing system for your computer will also aid your writing organization. Denise takes on creating a filing system and tips for sticking with it in Chapter 12. 5. Once you have all your current research organized, holes and missing pieces will reveal themselves. This will also undoubtedly happen once you begin to outline your story plan and even as you write. Inevitably, you’ll find you’ll need to acquire further information and research. Tap into Denise’s research strategies in Chapter 13. 6. You want to be sure you have a system in place for organizing your source citations. The minute you begin to write it will become instrumental in locating your sources quickly and easily. A good citation system will also aid in compiling a complete bibliography and can accurately cite your sources for your readers. Don’t wait till your knee deep before you realize you need a system for your citations. Denise addresses organizing your citations in Chapter 14. 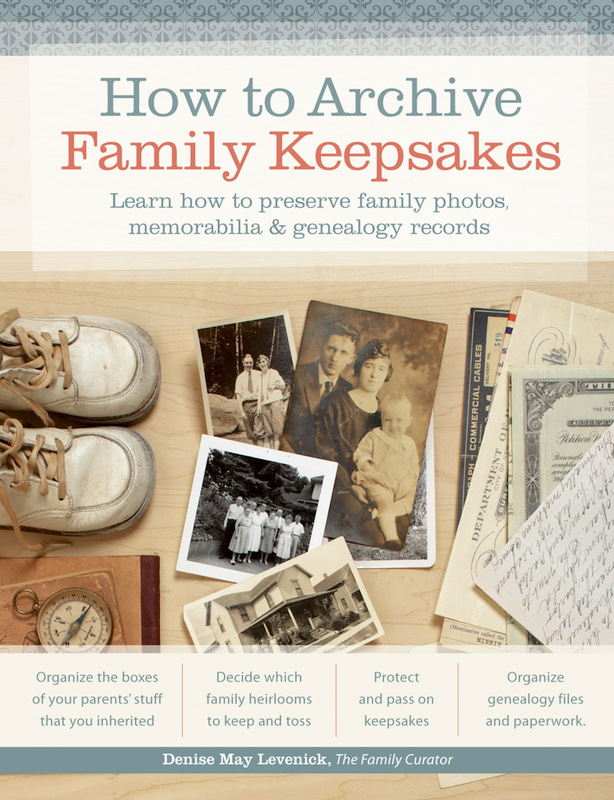 Tomorrow, join us for a special Q and A with the author of How to Archive Family Keepsakes , Denise Levenick. 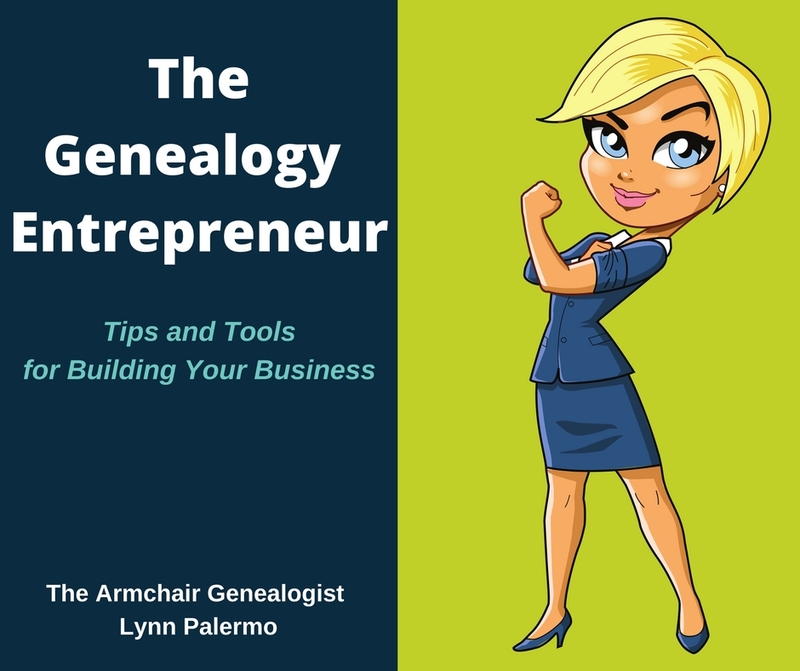 Denise is going to answer some of my questions about getting your archives organized and the obstacles we face in what can be an overwhelming task. I’ll hope you will stop by an ask your own questions and leave your thoughts. By commenting you'll also qualify for a chance to win an archival kit including a copy of How to Archive Your Family Keepsakes. Be sure to read my Q & A with the author.